Keith has been having a look at the JetMaster mounting system. 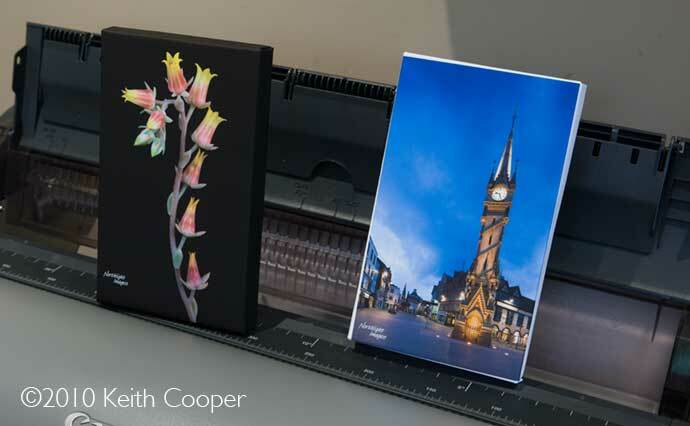 An economical way of producing good looking mounted canvas prints, that’s ideal for demonstrations, exhibitions and other places where a good looking ‘box frame’ is required without the trouble of traditional stretching and mounting. 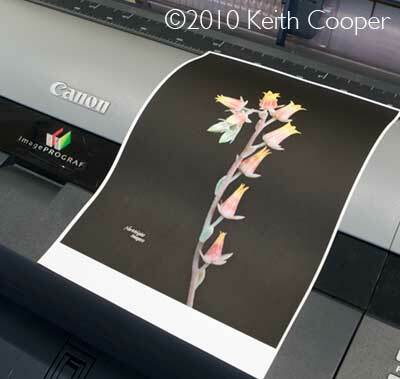 All the prints were made on the Canon iPF6300 printer we’ve recently been reviewing. Regular readers will know that I’m not the greatest fan of seeing my work printed on to canvas – of course that doesn’t mean I won’t supply it in that form, just I might not want to hang it in my own dining room. 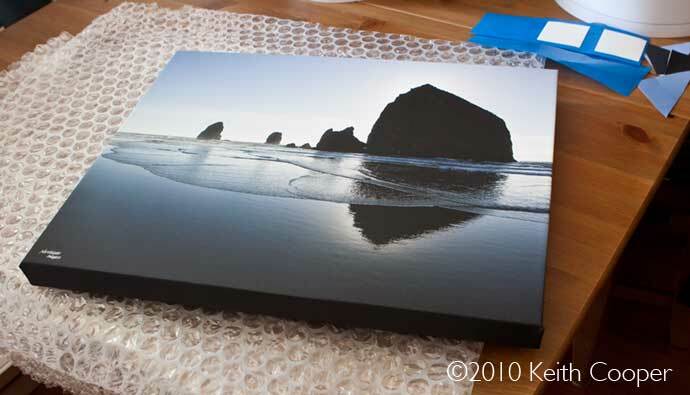 There is no denying though, that in some locations a large canvas print works well. 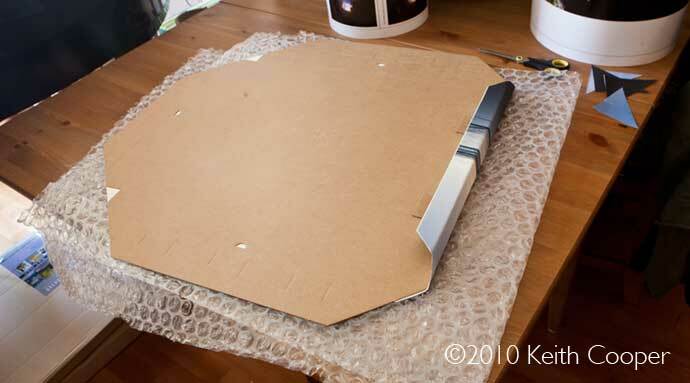 The normal way to mount a print is over a wooden frame, stretching and stapling the canvas to the wood (often called a ‘Gallery wrap’ or ‘box frame’. Whilst not difficult, this takes practice and benefits from specialised equipment to stretch the canvas correctly. You could just take your print along to a picture framer, but once again, it’s not quick or cheap. First of all, this is not really intended to be a replacement for the sort of large fine art prints that we might supply to a client for decorative purposes. Sometimes you just want a picture framed for demonstrations, trade shows and the like. 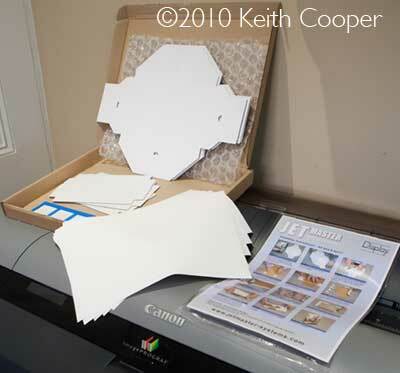 Using a pre cut and creased sheet of cardboard, you stick your print, trim the corners and fold in to shape. 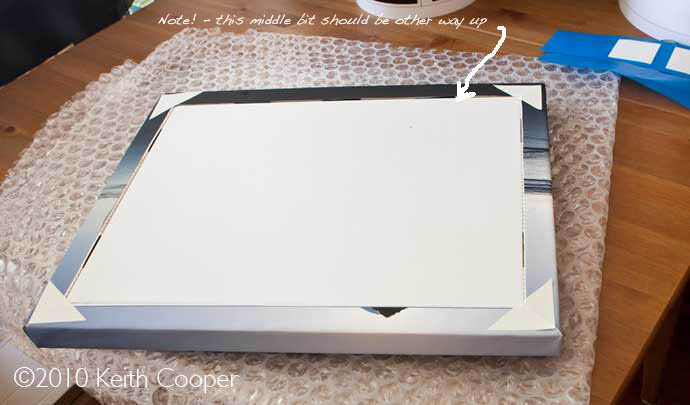 There is no adhesive required and with sufficient care, the corners look as good as a professionally made mount. Note – I made a mistake in the assembly process and they still came out fine – do read the intructions! The kits come in a range of sizes, packed flat with all you need to mount a print. With the smallest A4 print size, the kit even comes with some A4 sheets of thin canvas, all ready to print and attach to the backing. There’s one aspect of such mounting that always causes me issues, and that’s the loss of image wrapped round the edge of the frame. 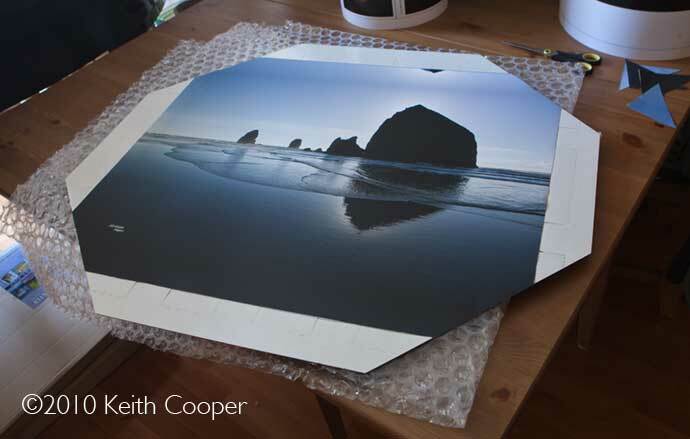 When I make one of our large prints, the precise edge is often an important element in the composition. With a mounting style like this, the edges of your image could easily be lost. Fortunately there are Photoshop templates available for each print size that enable you to see what parts of an image are ‘over the edge’. There are a number of techniques for mirroring or expanding the area of your image, so as to lessen the problem. 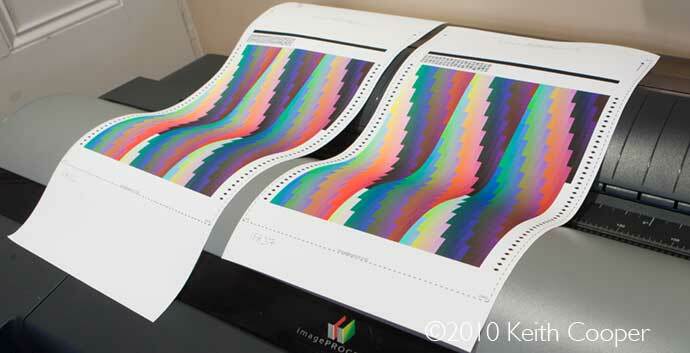 I had several types of canvas to try, during our testing of the iPF6300 printer. For two Innova canvas types on rolls, I created some ICC profiles, so as to be able to print colours a bit more accurately. These targets are scanned and measured with our i1 iSis spectrophotometer. 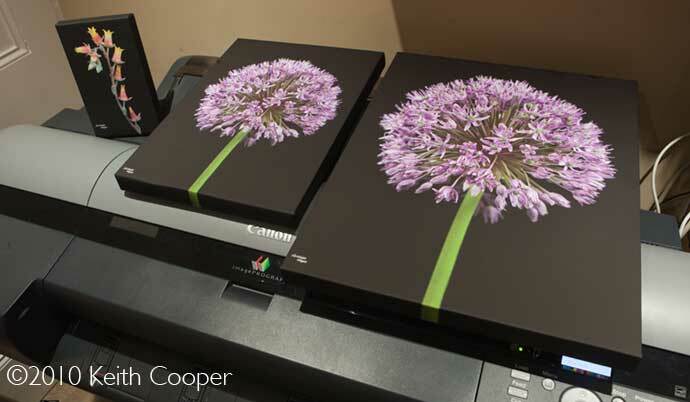 Both canvas types worked very well in the iPF6300, giving a good range of colours on the ‘high white’ finish canvas. 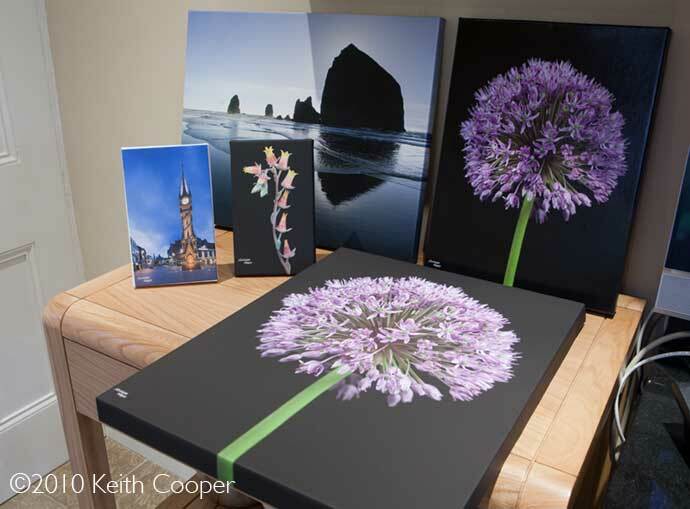 As with most matte finish canvas prints, they can benefit from a coating of varnish/lacquer to improve resilience and depth in the darker colours. 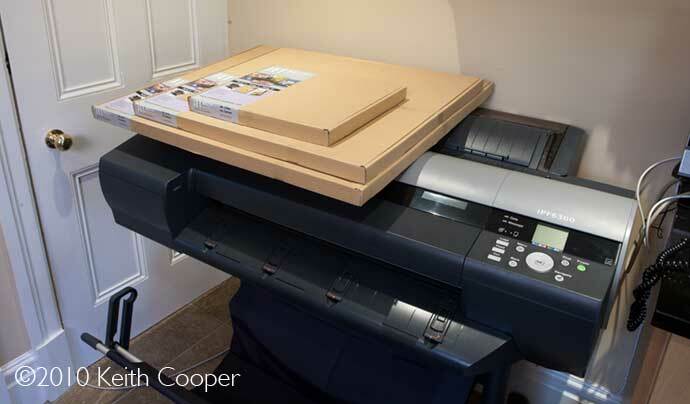 One of the issues when printing an A4 sheet of canvas, is the size of the printer margins. 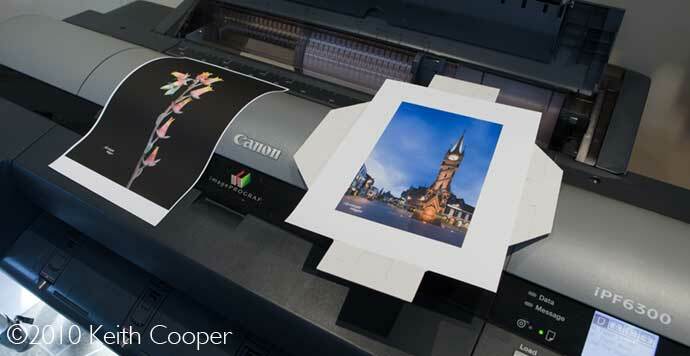 With the Canon iPF6300, this leaves the white gap at the bottom of the print. The A4 print mount loses the largest proportion of your print area. You might be tempted to just print your image and leave the surround white. It’s easy to do with the supplied template and looks to be a solution. 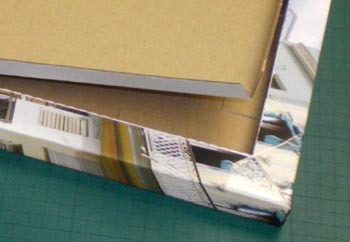 The print is placed on the cardboard sheet and after trimming, folded. It’s very easy to do, although as the second photo below shows, not quite so easy to get right with the big white border. The adhesive on the card does allow re-positioning, but even after several attempts, the results were not inspiring for the white border. The black bordered flower print was just fine however. My first two test prints. The sequence of photos below show the steps in creating a 16″ x 20″ print. 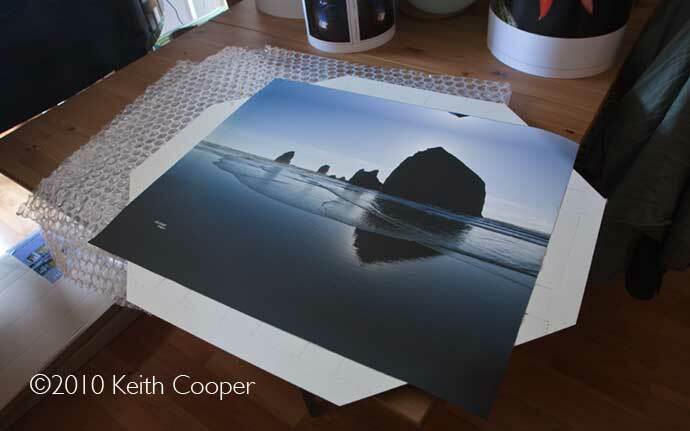 I’ve printed on a 24″ roll of the light IFA-32 ‘Decor’ canvas. You can also see how I’ve expanded the image size by mirroring some of the original image. 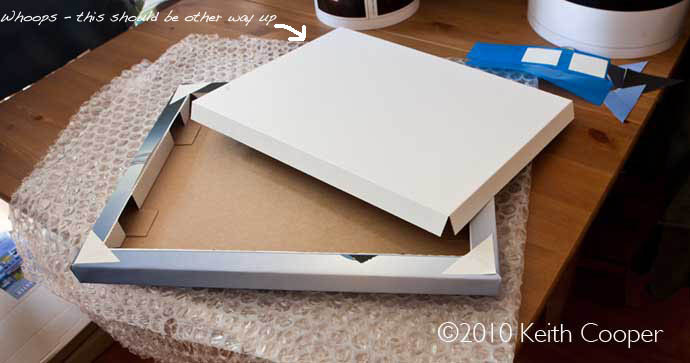 First the canvas is carefully stuck to the card (it has a peel away plastic film). Next I trim the corners. Note how I’ve used the supplied packaging to give a surface that won’t damage the print. Turning the print over, I make sure it’s firmly stuck, and fold over the first edge. The final bit of cardboard is folded. 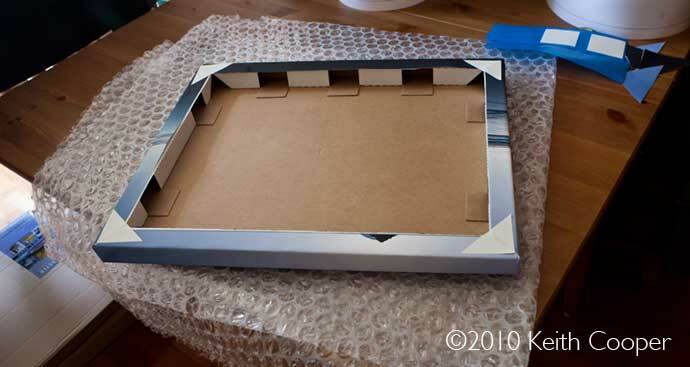 This fits inside the frame and sticks to the inside with exposed areas of the original sticky surface. Note – when I assembled the print, I got the insert upside down. I did try to remove the inserts to re-shoot the pics, but they’d stuck too well. The prints were pretty robust as I’d made them, but I’m told that if I’d put the centre in correctly, they’d be even more solid! It really is that simple to make. One potential problem is that the surface of the prints can easily be scuffed, but a more serious one is that the matte finish of the printed canvas lacks depth – particularly with the black backgrounds. A trip to the local art store (or in my case, car spares shop) will find spray cans of lacquer or varnish that can be sprayed over your prints. These prints actually look rather good. I have one of my own images conventionally box framed, on the wall in the kitchen – I put one of the flower prints next to it and you can’t tell the difference. 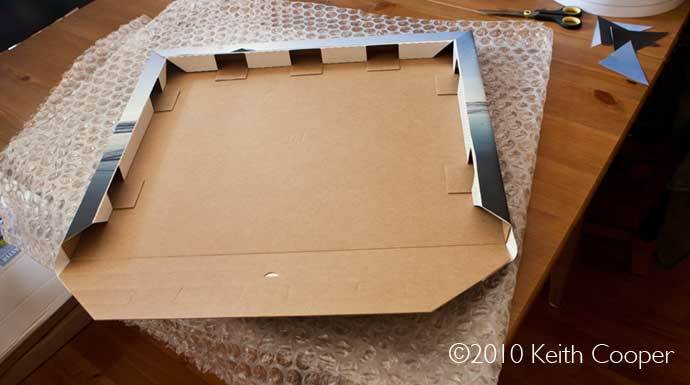 Very easy to assemble, with no adhesives or extra mounting accessories needed. Depending on your chosen image, you may find it necessary to spray/coat the prints so as to make them more robust and give more depth to images. The lightness is great if you’re putting up prints for a display stand, exhibition areas or somewhere that people won’t get to handle them. 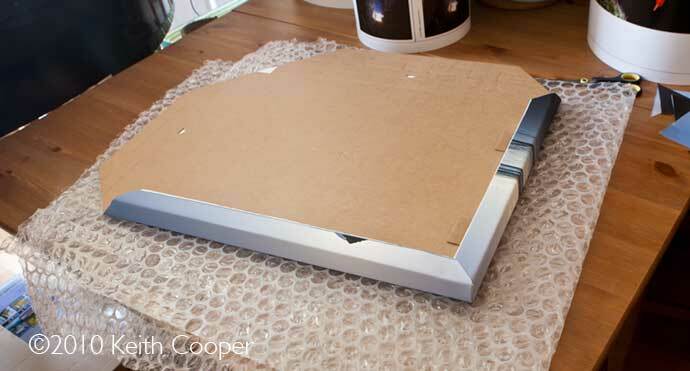 An innovative method of reliably and economically producing ‘Gallery wrap’ canvas prints. Just the solution for exhibitions and shows, where the expense and inconvenience of framing can be avoided.